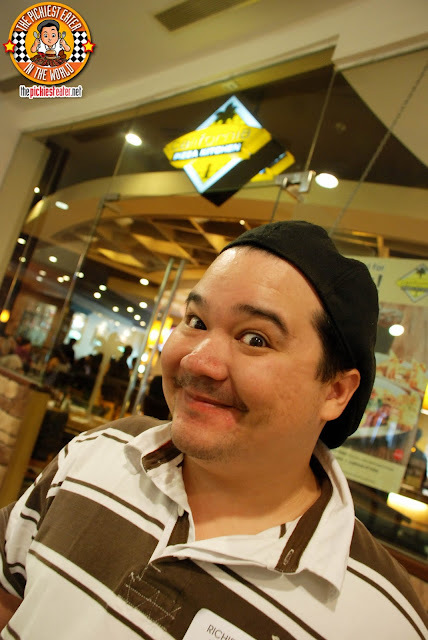 I still remember the first time I ate in California Pizza Kitchen. It was a certain number of years ago when they had their branch at the bridgeway of Shanrgi-La Plaza. Yep! It was that long ago! 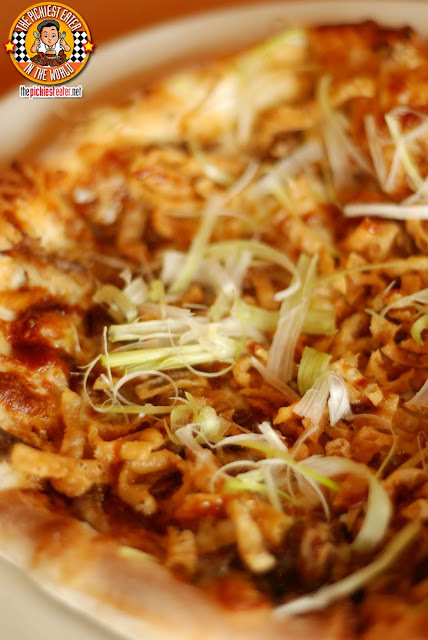 And the very first pizza of theirs that I tasted was the wonder that is Peking Duck Pizza! And I fell in love! CPK has been continuously innovating and experimenting one-of-a-kind pizza flavours (which is awesome) but somewhere along the way, our favorite Peking Duck Pizza faded from the menu to make room for the newbies. Awwww! So imagine our surprise and delight when CPK brought back this beloved Peking Duck pizza and 4 more pizzas and are re-introducing them as their Vintage Pizzas! And upon tasting their new old vintage pizzas, I can’t help but add more of their pizzas on my list of favourites! 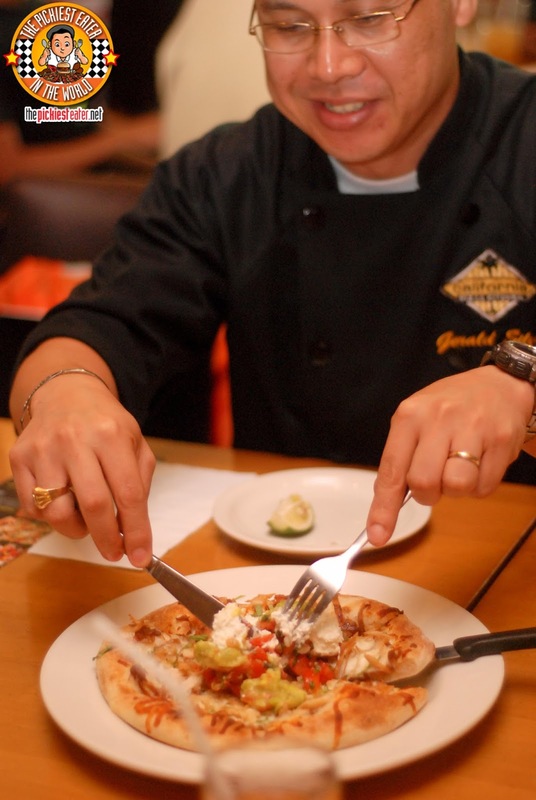 Richie couldn't resist trying the pizzas himself, he skipped out from work for during his lunch break, just to drop by CPK in Greenbelt! I love how their Vintage pizzas are hand stretched giving it a homemade look and giving it a fantastic twist on the taste and texture of the dough. (CPK says they will eventually make all their pizzas back to hand-stretched). And the toppings look like it was just casually dumped in there. Yum! For me, the messier, the yummier! And usually I don’t finish my pizza crust. I always just give it to Richie. But this time, I finished it! Because it was so soft and tasty. It was actually like eating a crispy on the outside but soft on the inside pandesal. The Santa Fe Chicken (P395) was said to be the ladies favorite for some reason. And upon tasting it, I think I see why. For me it actually tastes like a Mexican salad on a pizza dough. It’s light yet very tasty! This is the most unique of all I think because of the way it’s presented. 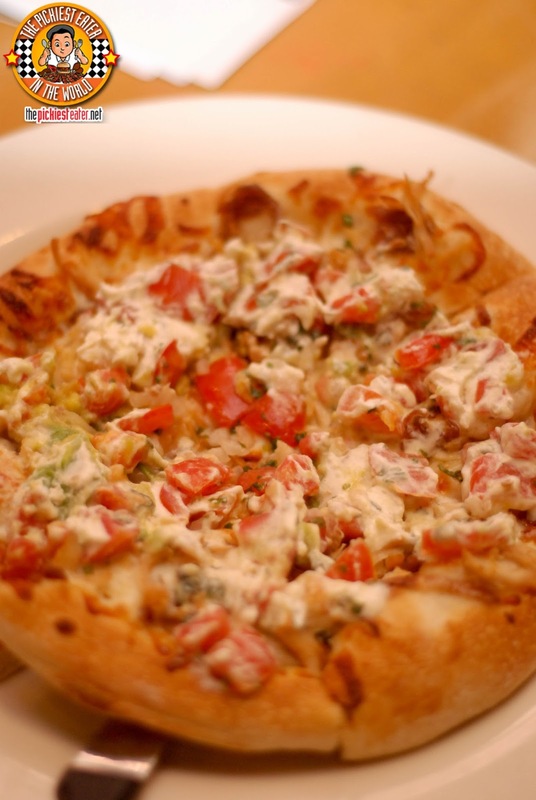 Grilled chicken breast, caramelized onions, mozzarella cheese topped with cilantro and fresh tomato salsa. And then in the middle, were a scoop of sour cream and a scoop of guacamole. To eat it, you need to mix the cream, guacamole, and the salsa together and spread it out all over the pizza, then squeeze some lemon! Then eat! For some reason, lately I have been developing this fascination with goat cheese. It has a pungent smell and taste but I actually love it! That goes without saying that the Goat Cheese Pizza (P395) was one of my favourites! 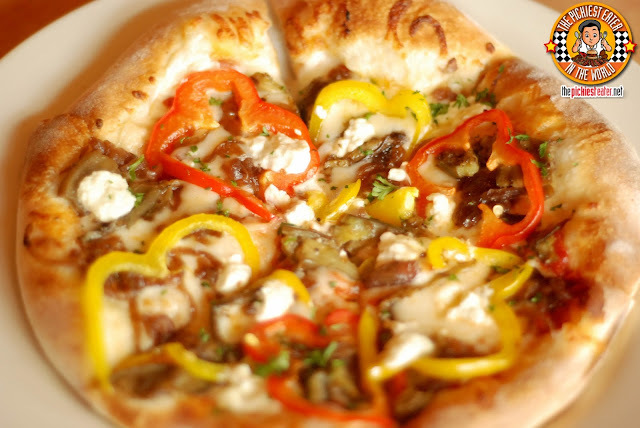 It’s goat cheese, mozzarella, sautéed onion, grilled eggplant, red and yellow peppers, and tomato sauce. And then sprinkled with parsley. Can’t decide whether you want to eat a pizza or a taco? Worry no more! 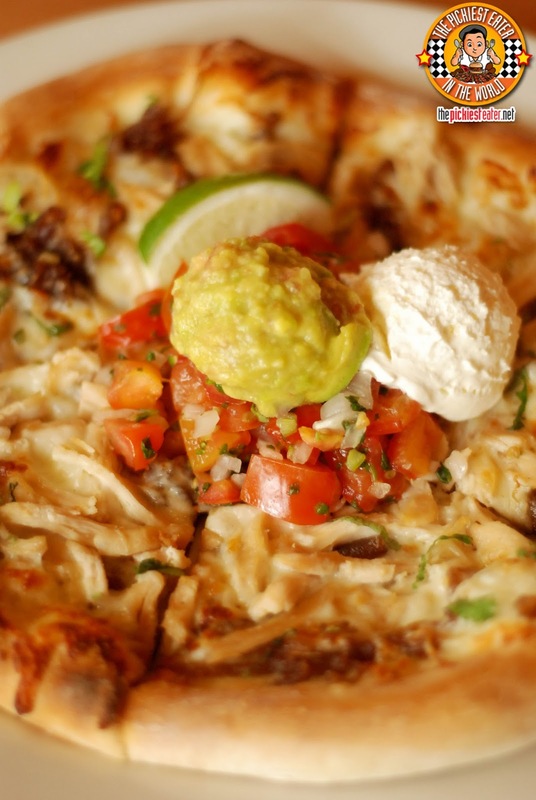 The Tostada Chicken (P395) is your taco in a pizza. It’s quite a delight to bite into a pizza with an added crunch! But personally I was looking for cheesiness. 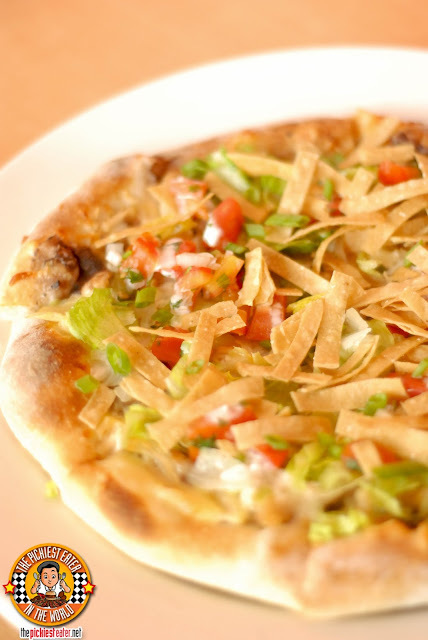 The Tostada Chicken has sourthwestern black beans, Monterey Jack, queso quesadilla, grilled chicken breast, and then topped with lettuce fresh tomato salsa, ranch dressing scallion greens, and then finally sprinkled with tortilla strips for that loud crunch! Last but definitely not the least, our original favorite, the Peking Duck Pizza (P475). This is evidently the most expensive of all Vintage Pizzas but it’s forgivable once you taste the incredible flavour of the roasted duck, shitake mushrooms, mozzarella and hoising ginger sauce. It is then topped with fried wontons, more hoisin ginger sauce, and slivered scallions. It is still our top favorite! 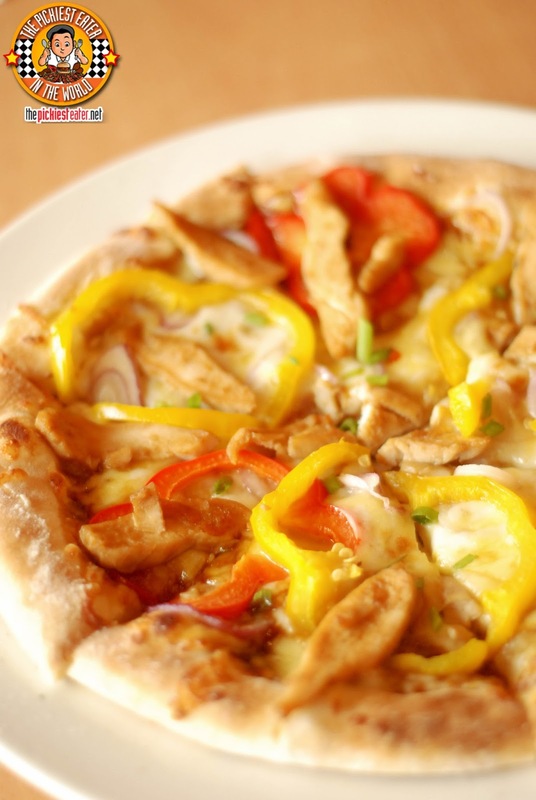 CPK currently has 9 branches, and soon to open 4 more. Starting July 1, the CPK Vintage Pizzas are now available in all 9 stores! 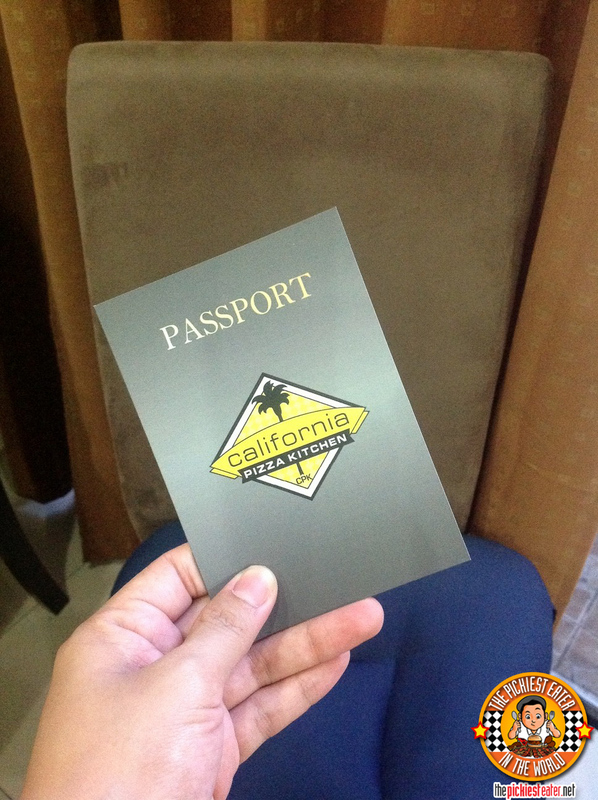 And the good news is they have a promo called the CPK Vintage Passport Promo. 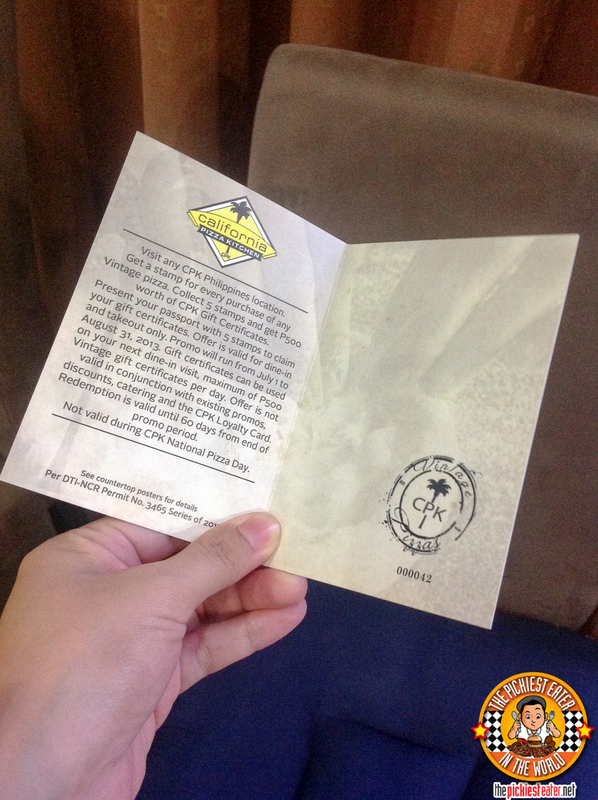 Every time you buy a vintage pizza, you get a stamp on your passport. Once you collect all five vintage pizza stamps, you can then exchange your passport for a P500 worth of CPK gift certificates! Promo will only run until end of August. Now... wouldn't it be nice if someone did a CPK GC giveaway? Ohhh, everything looks amazing! I wish they'd open a branch in Cebu. If Dimsum Break can open in manila, why can't CPK open in Cebu? haha! She dines like a lady, but poses like mr. pogi!